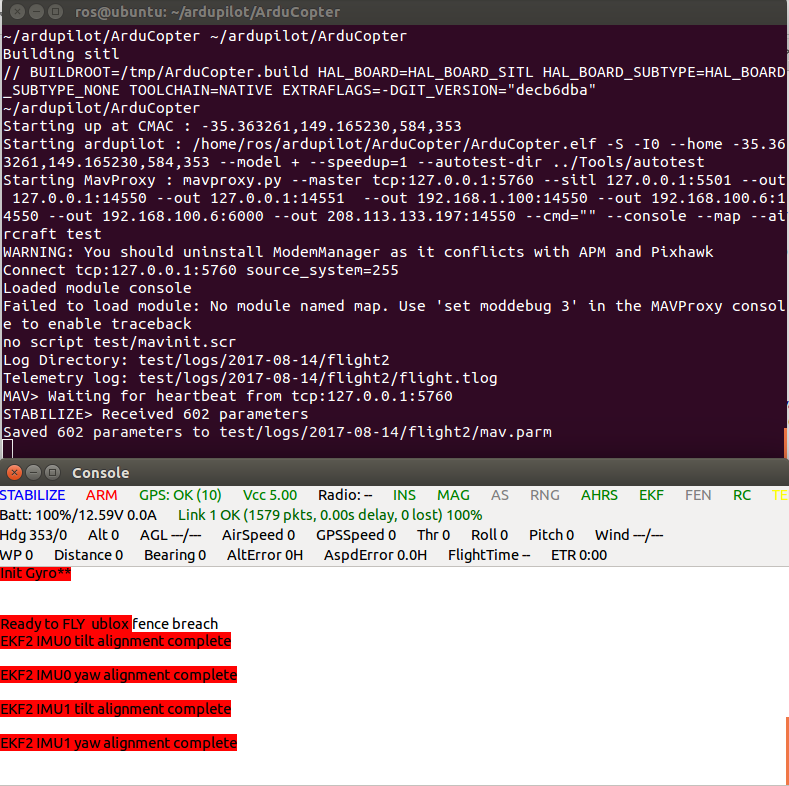 Take note of the IP address of your server machine where Dronemap Planner is executed as you will need it later for creating a MAVLink output stream from the drone the cloud. 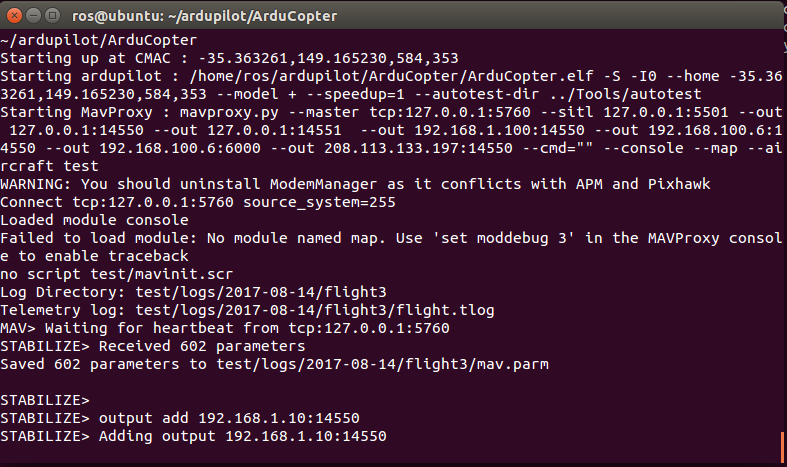 The SITL (software in the loop) simulator allows you to emulate Ardupilot drones without the need for a hardware. As Gapter uses the Pixhawk autopilot powered by Ardupilot, you can use STIL to emulate Gapter drone and work with Dronemap Planner. First, of all make sure that you have SITL installed on your computer. SITL can be installed on Linux or Windows. 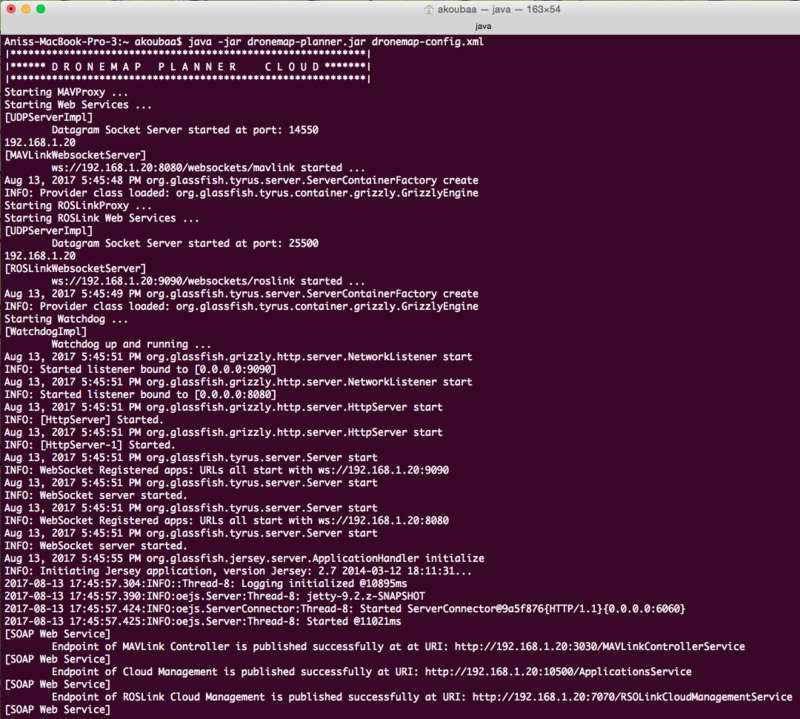 Replace the IP address with the correct one of your cloud server where Dronemap Planner is running.